Long-term efficacy of opioids for non-cancer pain is unproven, but risks argue for cautious prescribing. Few data suggest how long or how much opioid can be prescribed for opioid-naïve patients without inadvertently promoting long-term use. To examine the association between initial opioid prescribing patterns and likelihood of long-term use among opioid-naïve patients. Retrospective cohort study; data from Oregon resident prescriptions linked to death certificates and hospital discharges. Patients filling opioid prescriptions between October 1, 2012, and September 30, 2013, with no opioid fills for the previous 365 days. Subgroup analyses examined patients under age 45 who did not die in the follow-up year, excluding most cancer or palliative care patients. Exposure: Numbers of prescription fills and cumulative morphine milligram equivalents (MMEs) dispensed during 30 days following opioid initiation (“initiation month”). Outcome: Proportion of patients with six or more opioid fills during the subsequent year (“long-term users”). There were 536,767 opioid-naïve patients who filled an opioid prescription. Of these, 26,785 (5.0 %) became long-term users. Numbers of fills and cumulative MMEs during the initiation month were associated with long-term use. Among patients under age 45 using short-acting opioids who did not die in the follow-up year, the adjusted odds ratio (OR) for long-term use among those receiving two fills versus one was 2.25 (95 % CI: 2.17, 2.33). Compared to those who received < 120 total MMEs, those who received between 400 and 799 had an OR of 2.96 (95 % CI: 2.81, 3.11). Patients initiating with long-acting opioids had a higher risk of long-term use than those initiating with short-acting drugs. Early opioid prescribing patterns are associated with long-term use. While patient characteristics are important, clinicians have greater control over initial prescribing. Our findings may help minimize the risk of inadvertently initiating long-term opioid use. The online version of this article (doi: 10.1007/s11606-016-3810-3) contains supplementary material, which is available to authorized users. Opioid prescribing has increased substantially over the past two decades in the United States, accompanied by substantial increases in overdoses and addiction treatment.1 , 2 These trends have prompted calls for more selective opioid use, with lower doses and fewer days’ supply when prescribing.3 Clinicians often wonder how long and how high a dose of opioids can be prescribed before inadvertently promoting long-term use, yet there are few data to guide initial prescribing for opioid-naïve patients. Though short-term opioid use is more common than long-term use, the largest volume of opioids is prescribed for the smaller number of patients receiving long-term therapy.4 For non-cancer conditions, long-term use is problematic because of substantial rates of dependence and misuse, and because efficacy of long-term therapy remains unproven.5 – 8 Emergence of drug tolerance and hyperalgesia may limit long-term efficacy.9 Several factors may explain the emergence of inadvertent long-term use, including opioid dependence, non-medical use, substance use disorders, and diversion to other users. Opioid prescribing patterns over a year’s time are associated with opioid use disorders, with opioid duration more important than daily dose.10 Dose-related risks of overdose are well documented.11 – 13 Less attention has focused on characteristics of initial and early opioid prescriptions, and their association with long-term use. Like most states, Oregon has experienced increasing rates of prescription opioid overdose since 2000; a national survey suggested that its rate of non-medical opioid use is the highest in the nation.14 Also like other states, Oregon has implemented a prescription drug monitoring program (PDMP) to identify outpatient prescriptions for controlled substances.15. We used Oregon’s PDMP to study the relationship between initial opioid prescriptions to opioid-naïve patients and the likelihood of subsequent long-term opioid use. 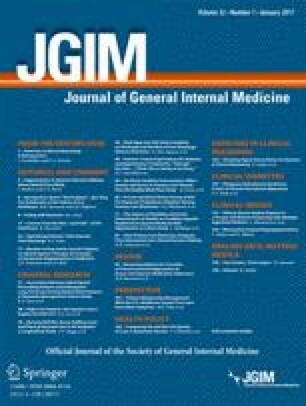 We hypothesized that (1) the numbers of prescription fills or morphine equivalents dispensed within the first 30 days would be associated with long-term use; (2) the use of long-acting opioids for the initial prescription would be associated with a greater likelihood of long-term use than initial prescription for short-acting opioids; and (3) associations would persist after excluding patients for whom clinicians were most likely to intend long-term opioid use (those with cancer or near the end of life). Activities were approved by two institutional review boards: Oregon Health & Science University and the Public Health Division of the Oregon Health Authority, where the PDMP is housed. Data were obtained from the Oregon PDMP, Oregon vital records, and a statewide hospital discharge registry. Like most PDMPs, Oregon’s is maintained by a commercial vendor. It began collecting pharmacy data in June 2011, which became available to clinicians in September 2011. By December 2011, 90 % of pharmacies were uploading data, and this had increased to 99 % by December 2013.16 The study time frame (opioid initiation between October 1, 2012, and September 30, 2013) was selected to identify opioid initiators with a full year of PDMP records before and after the initial prescription. The system collects data from all outpatient retail pharmacies, but excludes state and federal institutions and inpatient prescribing. There were no changes in the types of institutions reporting during the study period. Because of the data’s sensitive nature, the Public Health Division prepared de-identified data, such that investigators could not identify patients, prescribers, or pharmacies. Exact age was removed, and gender, race, ethnicity, and payment source were not collected by the PDMP during study years. Before removing identifying information, a Public Health analyst linked multiple prescriptions for the same patient using probabilistic techniques.17 , 18 The PDMP vendor uses a proprietary, largely deterministic algorithm to link prescriptions for the same individual, based on name, birth date, and address. However, an individual may not always be uniquely identified, due to nicknames, misspellings, transposed digits or characters, changes in surname, or changes in residence. The analyst therefore used The Link King v7.1.21 linkage and de-duplication software to probabilistically match individuals within and between datasets using name, birth date, and ZIP Code.17 The software creates six ordinal “linkage certainty levels”, each less certain of a true match. It allows users to review a random sample of potentially linked record pairs within each level. Potentially matched records in certainty levels with less than 95 % positive predictive value were manually reviewed. PDMP data were linked with vital records and hospital discharges using the same probabilistic methods. Further preparation of the dataset excluded prescriptions from non-Oregon prescribers and erroneous entries, such as transfers of drugs between pharmacies (Fig. 1). Derivation of the study dataset from raw PDMP data. Number of excluded cases is noted in the indented boxes. NDC National Drug Code, MME milligram morphine equivalents, FDA Food and Drug Administration. We identified opioid medications, including analgesics, antitussives, and migraine medications, using Food and Drug Administration National Drug Codes to identify pharmaceutical class, rather than therapeutic class.19 The only exceptions were tramadol (not included in PDMP during study years) and buprenorphine–naloxone combinations. We initially included all patients who filled an opioid prescription in the study year. The first prescription filled during this interval was the index prescription. We then examined the 365-day period before the index prescription, to exclude patients who filled an opioid prescription or were hospitalized for opioid-related diagnoses during that period (Fig. 1). Patients receiving cumulative opioid doses ≥ 4000 MMEs in the initiation month (defined below) were also excluded, reasoning that such high doses could not have been achieved in a short time in opioid-naïve patients without substantial risk of respiratory depression. Remaining patients were labeled “opioid-naïve”. Oregon’s PDMP does not include patient diagnoses or clinician specialty. Our initial analysis therefore included all patients with an eligible prescription fill. In some cases, opioid therapy may have been initiated with the intention of long-term use, as for patients with cancer pain or palliative care near the end of life. To exclude these, we examined the subset of patients under age 45 who did not die within 1 year of the index prescription. This excludes over 90 % of patients with invasive cancer and the vast majority of palliative care patients.22 , 23 It also excludes many patients with chronic painful conditions, such as severe osteoarthritis. In this “selective” analysis, we also excluded children aged 11 and under, as these are at low risk of long-term drug use and account for many antitussive prescriptions. Finally, we excluded patients with any address outside Oregon listed in the PDMP, reasoning these would be more likely to have had prescriptions filled outside Oregon. This could lead to erroneous labeling as opioid-naïve or underestimating opioid use after the initial prescription. Chi-square and related tests for trend were used to compare demographic features of patients who did or did not initiate long-term opioid use. Rural residence was defined by ZIP Code by the Oregon Office of Rural Health. Opioid initiators who became long-term users were tabulated by number of prescription fills and increments of MMEs dispensed in the initiation month, and tested with the Cochran–Armitage test for trend.26 , 27 A similar analysis was conducted for the “selective” subgroup. This analysis was further stratified by initial short-acting or long-acting opioid. Another analysis included only patients whose initial opioid prescription was from a PDMP-registered dentist. This constituted another subgroup whose initial prescriptions were likely intended to be short-term. We then conducted multivariable logistic regressions for the full cohort and relevant subsets, adjusting for urban or rural residence and age categories. To better understand how some patients reached higher opioid doses, we examined numbers of prescribers, pharmacies, prescription fills, and MMEs dispensed with each fill for patients with high or low MMEs in the initiation month. Increasing numbers of prescribers and pharmacies are associated with greater overdose risk.28 , 29 Statistical tests were two-sided, and significance was defined as p < 0.05; analyses were performed using SAS version 9.3 software (SAS Institute Inc., Cary, NC, USA). During the index year, 3,657,074 eligible opioid prescriptions were filled for 874,765 patients. There were 536,767 apparently opioid-naïve patients (61.4 % of the total) who filled an opioid prescription. Of these, 26,785 (5.0 %) became long-term opioid users. Long-term use was higher among rural than urban residents (6.1 vs. 4.4 % respectively, p < 0.001). The odds ratio for rural residence versus urban was 1.37 (95 % CI: 1.34, 1.41). There was a trend toward greater long-term use with increasing age (p < 0.001 for trend, Table 1). The most common initial prescriptions were short-acting opioids combined with acetaminophen, including hydrocodone, oxycodone, or codeine (n = 458,520, 84.3 % of initial prescriptions, Table 1). ‡Chi-square comparing urban vs. rural; Cochran–Armitage test for trend for age categories; chi-square test comparing patients who became long-term opioid users versus those who did not for hospitalizations. ǁSome patients initiated treatment with more than one opioid. Hospitalization with opioid-related adverse events during the year following the initiation month was rare (n = 883, 0.2 %). However, patients who became long-term opioid users were almost seven times as likely to have such hospitalizations as those who did not (1.18 vs. 0.17 %, p < 0.001). Most patients received one fill in the initiation month (n = 429,597, 80.0 %). Among these, 2.9 % became long-term opioid users. However, 107,170 patients received two or more fills during the initiation month, and the proportion who became long-term opioid users increased consistently with numbers of fills (p < 0.0001 for trend, Table 2). Among those with two fills, 10.6 % became long-term opioid users, and among those with ≥ 4 fills, 26.1 % became long-term users. The trend persisted after adjusting for categorical age and urban or rural residence (Table 2). Similarly, the proportion of patients who became long-term opioid users increased with increasing MMEs dispensed (p < 0.0001 for trend, Table 2). Among those receiving under 120 MMEs during the initiation month, 2.0 % became long-term opioid users. This proportion rose consistently with increasing MMEs dispensed, to 46.2 % among patients receiving 3200–3999 MMEs in the initiation month (adjusted OR 16.07, 95 % CI: 14.07, 18.37). The same trends were observed in our selective analysis (Table 3). The stratum who initiated therapy with a long-acting opioid had substantially higher probability of long-term use (overall 24.5 % with long-acting vs. 3.5 % with short-acting, p < 0.001). Even among those with a single fill for long-acting opioids in the initiation month, 15.7 % became long-term users, versus 2.0 % among those initially prescribed short-acting drugs. After adjustment for urban or rural residence and for categorical age, trends of increasing long-term use with increasing prescription fills or MMEs persisted (Table 3). For example, the adjusted odds ratio for long-term use among those having even two fills for a short-acting opioid was 2.25 (95 % CI 2.17, 2.33). The subgroup whose initial opioid prescription was from a dentist followed a similar pattern for increasing numbers of prescriptions fills (Table 4). We could not examine MMEs, because all but four patients were in the lowest category. Among patients with the lowest cumulative opioid dose in the initiation month, 98.8 % received a single prescription fill. In contrast, among those with the largest cumulative dose in the initiation month, only 18.7 % received a single fill (p < 0.001). Of the 107,170 people who filled more than one prescription in the initiation month, 45,789 (42.7 %) received all prescriptions from the same prescriber. Among those with the lowest cumulative dose in the initiation month, 99.5 % had a single prescriber, versus 54.0 % among those with the largest cumulative dose (p < 0.001). Among those receiving the lowest cumulative dose in the initiation month, 99.7 % used a single pharmacy, versus 69.0 % among those receiving the highest cumulative dose (p < 0.001). In the highest cumulative dose group, average MMEs dispensed decreased with each successive prescription, from an average of 1295 with the first prescription to 719 with a fourth prescription. An important limitation is that we cannot say that the initial prescribing pattern is the cause of long-term use, although dose–response relationships bolster the argument for some causal role. An obvious alternative explanation is that patients with more persistent and severe pain get more prescription fills and higher doses. Furthermore, patients at higher risk of long-term use and abuse (e.g., history of depression or substance abuse) are more likely to receive opioid prescriptions than patients with lower risk, despite recommendations to the contrary.31 – 34 This has been termed “adverse selection”.34 Finally, some may have a genetic predisposition to opioid dependence.35 , 36 Some combination of explanations for long-term use seems likely. Thus, it is impossible to dissociate risks attributable to more prescriptions and higher doses from risks attributable to individual patient characteristics. However, randomized trials to assess risks of long-term opioid use with competing initial regimens would pose ethical challenges, and are unlikely to be performed. Observational data may offer the best insight into the risks associated with initial prescribing patterns. Due to data restrictions, we did not have rich patient-level data to further adjust for factors (beyond urban or rural residence and age category) that may confound observed associations. Data on patient demographics and payment source might provide additional insights. Another limitation is that we cannot know whether patients were truly opioid-naïve, though the PDMP may offer the best assurance. Nonetheless, a patient who recently moved from another state, already receiving opioids, could appear opioid-naïve. This would also be true for someone who filled prior prescriptions in a federal facility, or obtained medication from family or illicit sources. Some patients receiving initial high doses may have already been receiving opioid therapy. Other patients receiving high doses received prescriptions from multiple clinicians, raising concerns about misuse or diversion to illicit use. Thus, some patients with the highest doses may not truly be opioid-naïve or using medications as intended. Even if the higher dose categories are excluded, we have a striking dose-related pattern of long-term opioid use. A further limitation is that clinicians may have intended some patients to receive long-term opioids. However, our selective analysis likely removed a large percentage of patients for whom long-term use was intended. Furthermore, for patients with non-cancer pain, guidelines recommend a short-term trial of medication prior to initiating long-term therapy.37 , 38 Thus, we believe that for most patients in Tables 3 and 4, long-term therapy was not the initial intent. Among patients with the highest cumulative dose, the declining average MME dose with each successive fill supports this inference. Another study limitation is that we cannot know whether patients filling prescriptions took the medication themselves. Some patients may have diverted medications to family, friends, or illicit channels. This seems most likely for those receiving high cumulative doses from multiple prescribers and multiple pharmacies. Our analysis comparing short- versus long-acting opioids suggests that initiation with a long-acting opioid is associated with greater risk of long-term use. Others have described an increased overdose risk when initiating therapy with long-acting opioids.39 Thus, our findings add to earlier cautions regarding long-acting opioids for initial therapy. Considerable attention has been focused on the high-risk attributes of patients receiving opioids, and less attention has been given to high-risk characteristics of initial opioid prescribing patterns. Our data suggest the value of attention to high-risk prescribing, over which clinicians have greater control. This, in part, reflects the concern that we are dealing with “risky drugs, not risky patients.”40 Our findings may help clinicians minimize inadvertent long-term opioid use by encouraging limited initial prescriptions, highlighting the importance of refills or subsequent prescriptions, and illustrating the value of the PDMP in identifying those at high risk. Supported by grant number R01 DA031208 from the National Institute on Drug Abuse, and by Grant number UL 1RR024140, from the National Center for Advancing Translational Sciences. Richard A. Deyo discloses that he receives royalties from UpToDate for authoring topics on low back pain, and previously received honoraria for board membership at the nonprofit Informed Medical Decisions Foundation. His salary at Oregon Health & Science University is supported in part by an endowment from Kaiser Permanente. He received a financial award from NuVasive as part of a lifetime achievement award from the International Society for the Study of the Lumbar Spine. All other authors declare no conflicts of interest. Oregon Health Authority, Center for Prevention & Health Promotion, Injury & Violence Prevention Section. 2014 Drug overdose deaths, hospitalizations, abuse & dependency among Oregonians. Available at: https://public.health.oregon.gov/DiseasesConditions/InjuryFatalityData/Documents/oregon-drug-overdose-report.pdf. Accessed 24 June 2016. US Food and Drug Administration. National Drug Code Database File. Available at: http://www.fda.gov/Drugs/InformationOnDrugs/ucm142438.htm. Accessed 24 June 2016. National Center for Injury Prevention and Control. CDC Conversion Reference Table. A compilation of opioid analgesic formulations with morphine milligram equivalent conversion factors, 2014 version. Atlanta, GA: Centers for Disease Control and Prevention. Available at: http://www.pdmpassist.org/pdf/BJA_performance_measure_aid_MME_conversion.pdf. Accessed Conversion Reference Table.xlsx June 24, 2016. Centers for Disease Control. CDC Wonder, United States Cancer Statistics, 1999–2012, Cancer Incidence 2012 – Invasive Cancers. Available at: http://wonder.cdc.gov/cancer-v2012.html. Accessed 24 June 2016. National Hospice and Palliative Care Organization. NHPCO’s Facts and Figures: Hospice Care in America, 2014 Edition. Available at: http://www.nhpco.org/sites/default/files/public/Statistics_Research/2014_Facts_Figures.pdf. Accessed 24 June 2016.